Prince George, B.C. 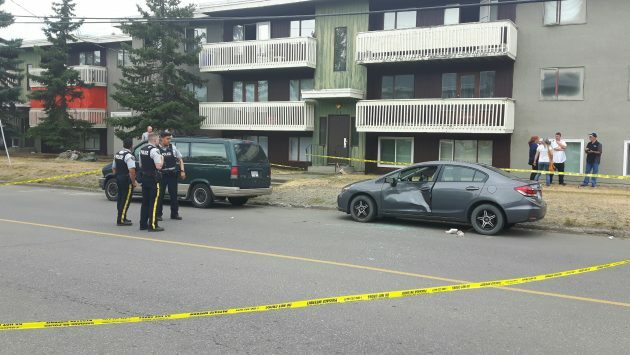 – Two adults – a man and a woman – are in police custody following a hit-and-run today. 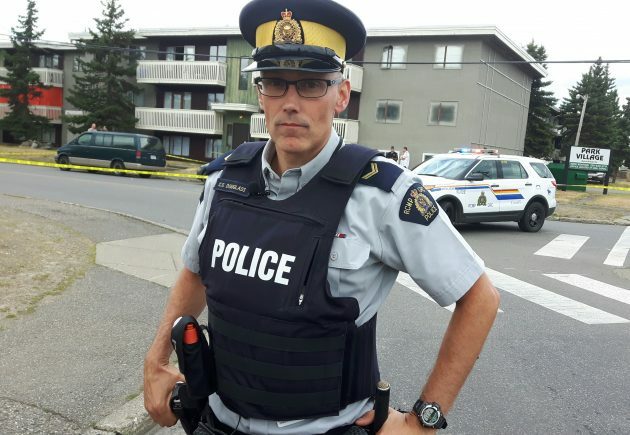 Prince George RCMP Cpl. Craig Douglass says it occurred at around 1:30 p.m. at the corner of Ospika Boulevard and 1st Avenue. He says Mounties and other emergency responders arrived on scene to find a young woman suffering from injuries that appeared to have been caused by a vehicle. He says the male and female suspect have not been charged yet but notes the investigation is in its early stages. Douglass says a collision reconstructionist is on route to the accident scene. He adds it’s too soon to speculate whether alcohol, drugs, distracted driving or speed were factors in what happened. He says more information may be released as it becomes available. No names have been released. Police would like to speak to anyone that may have witnessed a small light blue car in the moments before, during or after the collision. If you have any information you are asked to call the Prince George RCMP at 250-561-3300.